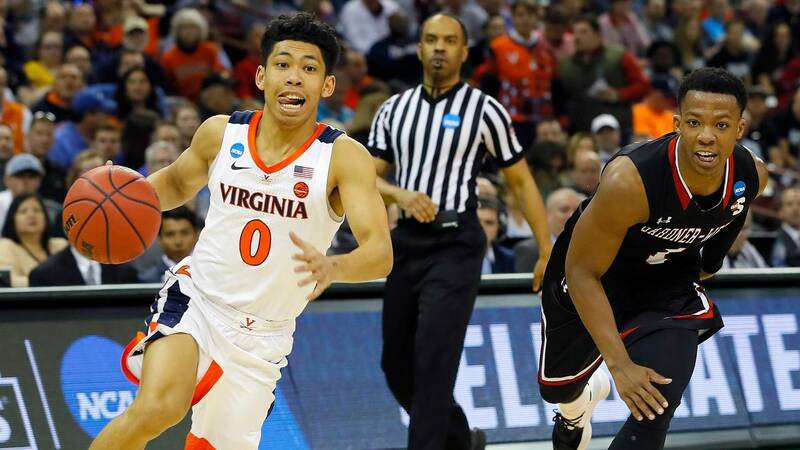 COLUMBIA, S.C. - Despite trailing after the first half, 1-seed Virginia fought back Friday to prevent history from repeating itself and instead, advanced to the second round of the NCAA Tournament, beating 16-seed Gardner-Webb 71-56. The Cavaliers went into the locker room trailing 36-30, but outscored the Runnin' Bulldogs 41-20 in the second half to win. UVA was led by sophomore guard De'Andre Hunter, who scored 23 points. Last season, UVA became the first No. 1 seed to ever lose to a 16-seed after being upset by UMBC 74-54. UVA will play 9-seed Oklahoma on Sunday.